Now that the Eurozone Crisis is over, we can all breathe a little easier. Right? While it’s good to not be loping along from one crisis to the next, the aftermath of the flood that lasted from 2008-2012 in drips and drops is still being mopped up. The hits are just being absorbed by the banks and growth is going to be sub-par through 2014, meaning that the lingering unemployment problem is not going away. There are two parts left to this clean-up – what comes next and what can we learn? They are both important and will dominate 2014 in Europe and the developed world. The first problem is that there is still a lot of mess to be cleaned up. Deutsche Bank took the unusual step of pre-announcing their earnings for 4Q13 because they are being hit with a huge loss that was not expected. A large part of that is a one-time hit due to fines and other liabilities making their way onto the book, and that was the focus of most media reports. But even more troubling is the process of writing down loans that are clearly the subject of a partial default. The problems at Deutsche Bank are likely to be repeated throughout the Eurozone – and could easily cross the Atlantic. This dates to the time when voters of the various nations facing tough austerity demanded that the banks absorb at least some of the losses. It was commonly referred to as a “haircut”, or a little off the top – even though in some cases, especially Greece, the write-down of the value of government bonds exceeded 70%. The press was good at underplaying the amount of money that added up to, given that big banks seemed to be quite culpable in the mess and loaded up with Euros. But in 2014 there will be a review of the relative soundness of banks throughout Europe, conducted by the European Central Bank (ECB). The losses will have to be realized to make the remaining balance sheet look up to par. That’s a lot of Deutsche Bank’s loss, and that hit will be felt by many other banks in the Eurozone. 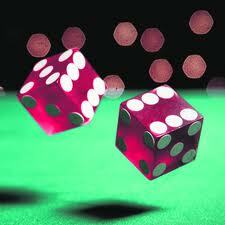 The dice have been in the air for Credit Default Swaps. They are about to land. This will also trigger any Credit Default Swaps written against those loans. That’s the good news for the European banks, as these were a kind of insurance against potential default. But the underwriters of that insurance were mainly US finance banks, particularly our old friends JP Morgan. 2014 looks like a bad year for finance – and as a result a year for tight credit, at least for big borrowers that rely on big banks. All of this adds up to a projection for low to dismal growth in 2014 across the Eurozone. Where the US is projected to grow at 2.8%, about what we had for 2013. But Europe is forecast at 1.0%, a rate that will do nothing to help desperately needed job growth. Europe will generally be a drag on the whole world, which should average 3.7% overall. The great convergence between developed and developing nations is expected to continue. Why is Europe so much slower than the US? The answer appears to be the lingering effects of austerity, the clampdown on government budgets to force them into Euro standards. A review of the policies forced on the 27 member nations from 2008 on shows that the ECB, International Monetary Fund (IMF) and European Commission shows that they consistently demanded budget cuts, especially in government employees, pensions, and health care – all of which was born by the working populations of those nations. There were almost no tax increases as part of the austerity on either the wealthy or on corporations. This all occurred during a time of tight credit, forced by the ongoing bank crisis. Yes, but next to Europe we look pretty good. Compare that to the large budget deficits run in the US at the start of the 2008 downturn, followed by dramatic budget balancing in 2013 brought about by a combination of growth, cuts, and tax hikes. Combined all that with a loose credit policy of low interest and more than a little Quantitative Easing there was a very different experience in the US. The net growth in the US for 2014 is stark testimony as to which method of handling the crisis worked better. Europe is still not done with the four years of crisis that plagued them, even if the daily panic is apparently over. Workers are still facing very high unemployment and little hope for a turnaround in the next year. As the crisis is absorbed there will be effects felt all around the world, especially in the financial sector. But no matter what anyone says, the US did a much better job overall. We are far from perfect, but compared to Europe we look pretty good. This entry was posted in Money, Nooze and tagged austerity, banks, ECB, Economics, economy, Europe, Eurozone, growth, Jobs. Bookmark the permalink. Thanks for the update, I was wondering what has happened in Europe. We used to hear a lot about it and then it sort of faded away. What is the exposure here in the US if they are going to start cleaning it up? I don’t know the total exposure. It’s going to come in the CDSs primarily, and those will be limited to JP Morgan, Morgan Stanley, etc. I don’t think it will be a big deal, but it’s worth watching. If I see a good estimate I’ll pass it along. Europe is a lost cause. It’s all bureaucrats running the show. The hoopla around the Euro and all that is just a distraction to keep people from noticing how corrupt and rotten it is. That’s a bit harsh, but I do think that the leaders don’t really care about the people, nor really report to them in any way as it’s set up. The austerity programs do show that, at least. Let’s see how 2014 goes before we say that. This might be the year they really start to take the hits. Was not this an example of just not recognizing bad loans soon enought. Given there have to be a lot of these as a result of the financial crisis, are there really going to be that many who have so far failed to do this? I’m wondering if Deutsche wasn’t just like major US banks at being slow to acknowledge old problems? Think Santander is in the camp; I have a postion? Yes, they were slow to fully realize the loans – because it totally slays the balance sheet. They almost certainly wrote off what they could over the last few years without hitting a level that slaughtered their profits, but now they have a deadline. Realizing a big hit at once makes 4Q13 look really bad, but it does get it out of the way. I have been looking for information on how much has been written off so far but I have no good estimates. I am assuming there is more to come because of the deadline and because it just seems that the magnitude was way, way higher than what we’ve seen so far. One of the reasons, I surmise, that the 1 Euro is more expensive than 1 dollar is that policymakers in Europe have a lower tolerance for inflation than in the US. 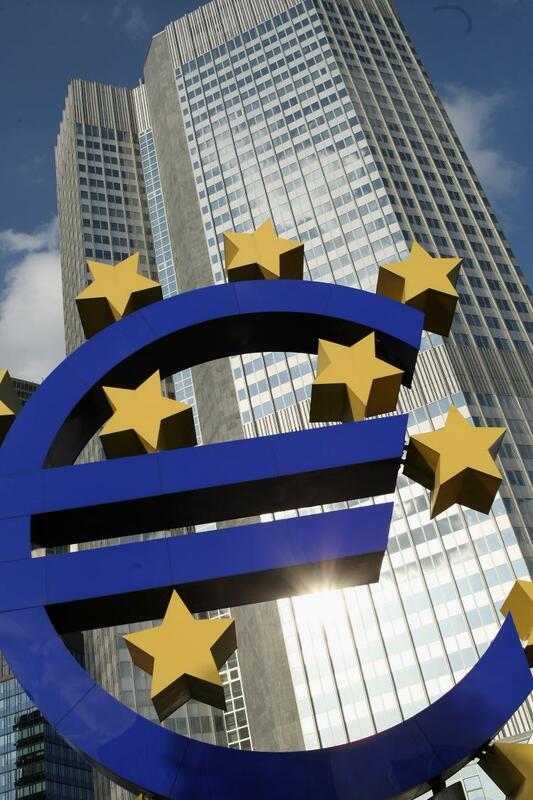 We need to go back to the reason the Euro monetary union was a goal. Europe didn’t want to import inflation from the US. I think I agree with you in the sense that the US has an inflation policy that is more geared to job production than in Europe. Europe ought to reflate it’s economy by cutting taxes in the suffering areas and raising taxes in Germany. Also from the conservative perspective the social welfare state in Europe is too large. That is why it is so distorting and why it is painful to cut. In the US the benefits are rather piecemeal and many at the state level, where budgets must balance, so the cutting is easier. The secret of US public finance is that the parsimony of the state and local level spending is negated by the domestic spending. budget deficits. 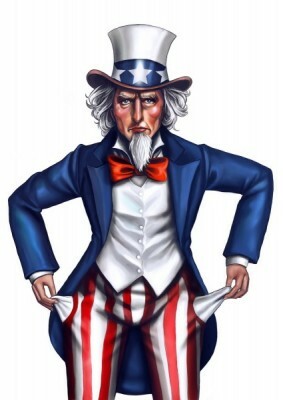 We know that the military and foreign aid portion of the budget deficit is because the US bore both burden and benefits of empire through its role in WW II, rebuilding Europe, winning cold war and fighting day in and day out in Afghanistan. Thank you for your response, I believe you are correct on all counts. I do worry that Europe may have a “lost generation” if this goes on much longer and there is no work for young people, so this is a particularly bad problem for everyone around the world. Now that the leaders are not dealing with one crisis after another I hope they can tackle it, as they discussed at Davos. Here in the US, you are very correct that our spending on military and the defense of our “empire”. We would be very wise to cut that back and improve our social “safety net” while improving our infrastructure. It is not as obvious of a problem as it is in Europe, but it is one that could define this generation far more than is healthy as well. Our states are the place to do most of that work, but they have been strangled in the downturn and cannot act with an appropriate Keynesian response. As the economy improves slightly I hope we can get back to work on these issues – and really cut the Federal government, especially military.